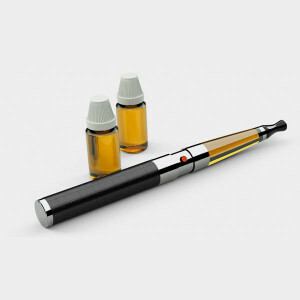 E-liquid contains liquid nicotine, which is a harsh chemical and hazardous waste. If you have leftover e-liquid, do not pour it down the drain. Give it to a friend or dispose of it as hazardous waste. The batteries, chargers and atomizers of e-cigarettes contain nonrenewable metals and chemicals that are toxic to landfills, so recycle them as e-waste. Find out how to properly dispose of e-waste. Instead of using disposable cartridges, use refillable cartridges or an e-cig tank so that you create less waste. Be sure to follow product instructions and wear gloves when handling liquid nicotine. Many e-cigarette manufacturers claim their product is an environmental solution to traditional cigarettes, because e-cigarettes can be reused and certain parts can be recycled. But are they really better? It’s not yet clear, but e-cigarettes introduce new problems with pollution in their manufacturing and disposal. Read more from Recycle Nation and the National Center for Biotechnology Information.